Introducing the Brilliant Breakthroughs Book - Brilliant Breakthroughs, Inc. Learn about the soon to be released: Brilliant Breakthroughs Book for Small Business Owners. 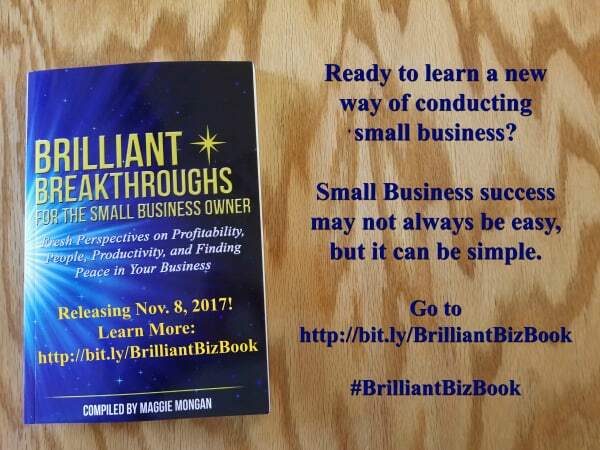 The Brilliant Breakthroughs Book (2017), officially titled Brilliant Breakthroughs for the Small Business Owner, is the name of the book I will be releasing on November 8, 2017. I’m super excited about it! Why? It pulls together about 15 years of my coaching practice’s wisdom and distills it down to one business model or framework. Additionally, I have 9 other practicing Experts, which we call Brilliant Practicing ExpertsTM, writing a chapter with me to share their wisdom. All dedicated to YOUR Small Business’s Success! Are you intrigued? Now the next part of this is pretty cool and gets a large percentage of Small Business Owners (SBOs) quite excited. The Brilliant Breakthroughs Book’s subtitle is: Fresh Perspectives on Profitability, People, Productivity, and Finding Peace in Your Business. I’m always amazed how many people sigh when they hear the word Peace. Did it make you sigh too? Each of the co-authors wrote a chapter about their expertise and how you can apply their wisdom to your business. I required that they don’t hold anything back in their chapter writing. There’s nuggets here! The chapter is not an infomercial in print. Infact, there isn’t any selling in this book at all! There’s only a 2 liner invitation from each author for you to engage further with them – if you choose to do so. Why did you write the Brilliant Breakthroughs Book? Many people ask me, “Why did you decided to write a book?” The truth is SBOs deserve better than what the marketplace is delivering to help them succeed. Things have changed over the past 20 years. The 21st century requires SBOs to win and win quickly. Yet, in order to this, they must show up differently (the sooner, the better). Many strategies and techniques that worked well 15-20 years ago don’t deliver favorable and sustainable results today. Yet, many business coaches and trainers are still teaching them. Unfortunately, a good portion of SBOs either keep working with many UN-Experts to get mediocre results or have given up completely. In both cases the SBO doesn’t win! They usually leave their potential to serve their marketplace and play small. Unfortunately this approach doesn’t allow them to capture their revenue in the marketplace – it essentially leaves it wide open for another to capture. This saddens me AND it is a great motivator as well. Thus, this book! I’ve seen far too many good people with great ideas struggle too hard and/or quit their business. This needs to change! With this book, I’m willing to hold the torch high for SBOs. It’s time to introduce and guide this conversation. That’s why I’ve developed a team of Brilliant Practicing ExpertsTM. Together, we’ll further the conversation and support SBOs who want to learn what they need to do to win in this century, instead of leaving their success to chance! Clearly, we’re here to serve Small Business Owners. NOTE: This is an annual Book Series to coincide with National Entrepreneurs Month (November). Each year the chapters will have different topics/fresh perspectives on profitability, people, productivity, and peace. How to get Your Copy of Brilliant Breakthroughs Book (2017)? We’ve create a page for you to learn more, add yourself to the list so we can send you only a couple of emails regarding what’s happening with the book release so you can learn how to get your copy. You’ll appreciate Your Thank You Gift and how to get your Brilliant Breakthroughs Book (2017) for you to have Brilliant Breakthroughs yet this year. We can’t wait to serve you! Do you need some help with YOUR Business, but don’t know who to turn to? Our Brilliant Breakthroughs Book, has some answers you’ve been waiting for! Please feel free to make a comment. I respond to comments. p.s. 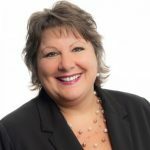 : If you’re in the Milwaukee area on Friday, October 27th, please join Wisconsin Business Owners Group for a great Lunch and Learn.